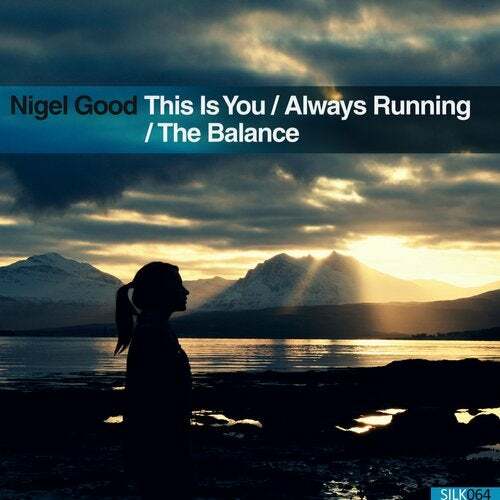 One of the most promising talents to emerge in the modern progressive house scene is Nigel Good, whose work is always equal parts melodic beauty, soul, and technical precision. Prior to this EP, we have had the great privilege of releasing numerous remixes by Nigel -- from his Above and Beyond-supported remix of Johan Vilborg's "Altara" to the more recent Myon and Shane 54-featured remix of Aerosoul's "Time Is By Your Side." Yet, this latest release is truly unprecedented for Nigel in terms of quantity and quality: 3 brand new, original progressive cuts, in which he not only showcases his songwriting ability, but also his latest bleeding-edge sound design techniques. In consideration of the fact that Nigel has just become a permanent co-host of "Only Silk" radio, which has officially represented the music of Silk Digital since the label's inception, we could think of no better way to acknowledge this pivotal moment in the label's history than a truly inspired trifecta of tracks by the Canadian phenom. "This Is You" is the first of two tracks on the release that feature the vocals of Sarah Clark. A cinematic introduction includes various piano riffs and filtered string sounds; make no mistake, this is an artist at the top of his game making a deliberately ambitious (and moving) opening statement to his EP. At the quarter turn, the main rhythm finally arrives -- refreshingly, it's a "triplet" beat, which lends the track a gallop-like cadence. Meanwhile, as the strings continue to ebb in and out, we are offered glimmers of Clark's gorgeous vocal, as disconnected words and phrases are ethereally rendered. In the main break, Nigel's poignant piano and euphoric, crescendoing chords join forces with Clark's vocal, to truly awe-inspiring effect. The subsequent track, "Always Running," holds a special place in our hearts, as it's quite similar in arrangement to the great melodic progressive house anthems of yesteryear. More specifically, it features an almost achingly beautiful lead chord progression, reminiscent of the melancholy, yet uplifting melodic style of original label music Mango. The unique feature of Nigel's work is that he pays homage to these influences, while lending his tracks a modern dancefloor sensibility. In this song, the delicate chords are introduced early in a mini-break, followed by a few rapturous "teaser" vox by Clark. From this moment, the free-flowing strings and hyper-melodic lead chords guide the track along, evoking a "floating-on-air" sensation in the listener. As the track proceeds toward the main break, innovative rhythmic fills and reverses keep the beat fresh. We finally arrive at the main break, where Clark's angelic voice dominants the foreground, while the chords crescendo behind her. While the first half of the tune can fairly be described as a great "listening" or even "driving" tune, the drop that follows at this juncture is purely dancefloor-centered: intended, it would seem, not for an arena, but rather an intimate setting of close friends. Finally, the EP closes with "The Balance," by far the most energetic and melodically "resonant" of the three cuts. It explosively jets out of the gate, with a gut-busting kick and snare pattern, as the chord progression begins to slowly trickle into the mix. Meanwhile, in the background, various side-chained pads tickle the ear and provide Nigel's quintessentially euphoric string texture. Soon thereafter, Nigel begins to splice in distorted, robotic vox effects, which tremolo in the stereo spectrum and enhance the groove, rather than interrupting it. In the main break, the filter automation on the lead chords gives the track a crescendoing, tidal power, as it propels once again into the drop.